Render 3D images and perform a variety of analyses - nearly anytime, anywhere. 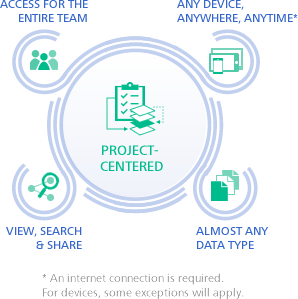 Update project plans with your team - instantly - from your mobile devices. Cloud services and cloud storage are available with a subscription or maintenance plan to some software. You can also subscribe separately to specific cloud services as you need them or with Autodesk products and apps. View, share and find 2D and 3D design and project files in one central workspace. Connect building project teams using Revit with centralised access to BIM project data in the cloud. View, edit and share AutoCAD files using your smartphone or tablet. Manage, collaborate and report in the field with a mobile app. Connect your entire project team and help streamline BIM project review and co-ordination workflows. Manage all project documents, plans and models in a single app. Intuitive 3D sketching app with native Revit interoperability. FormIt 360 Pro adds collaboration and analysis. Available as part of the Architecture, Engineering & Construction Collection. Revit plug-in to guide better building energy and environmental performance. Also available as part of the Architecture, Engineering & Construction Collection. Design and analyse structural models as part of the BIM process. This service is available only to subscribers and maintenance plan customers of select Autodesk software.